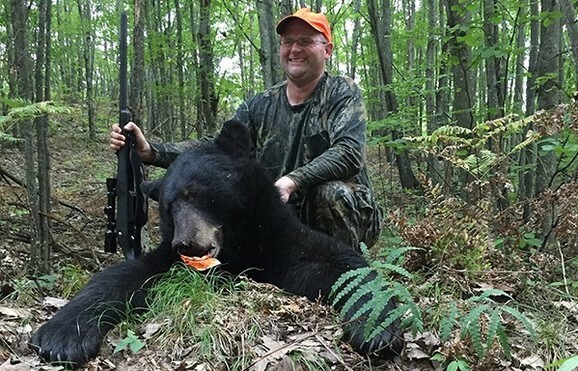 Preliminary results from the 2018 bear hunting season show hunters found success across Michigan’s bear hunting management zones. For the 2018 hunting season, approximately 54,000 hunters applied for 7,140 bear hunting licenses, the same number of licenses that was available last year. In 2017, 1,691 bears were taken. This year, preliminary numbers appear to be slightly below the 1,500-target harvest. Bear regulations are reviewed every two years, making 2019-2020 a new regulation cycle and an opportunity to review potential harvest quotas. On Dec. 14, the Bear Forum will meet in St. Ignace at the Little Bear East Arena, located at 275 Marquette St., from 10 a.m. to 4 p.m. 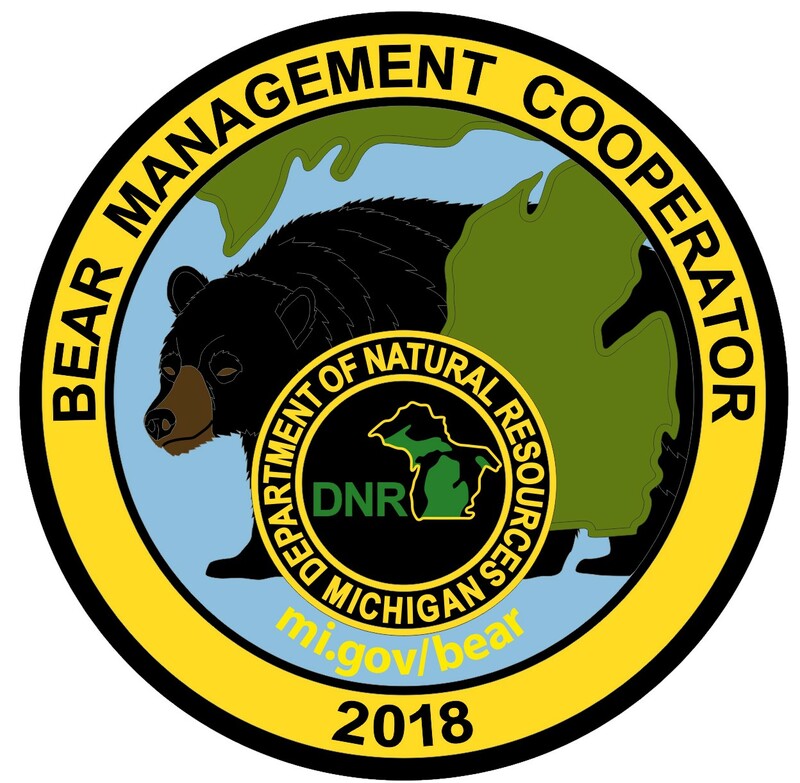 The Bear Forum is made up of stakeholders and non-affiliated individuals who have an interest in Michigan’s bear management. Public seating will be available. The 2017 bear hunter survey and preliminary 2018 harvest information, the Upper Peninsula predator/prey study and bear abundance estimates will be reviewed, and potential regulatory changes will be discussed. For questions about the upcoming Bear Forum meeting, contact Kevin Swanson at 906-458-1889. 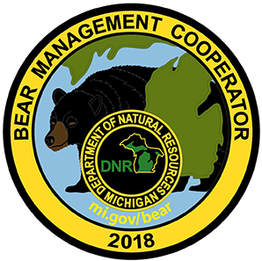 The 2018 bear cooperator patch, which helps fund bear education programs, is still available. The Michigan Bear Hunters Association coordinates the bear patch program in partnership with the DNR. Adult hunters, collectors and other interested individuals may purchase the patch for $5, including postage and handling. Young hunters, 17 years of age and younger, who have a valid bear hunting license may receive a free patch. Send your name and complete address, along with a legible copy of the youth’s valid bear hunting license, to MBHA, Bear Patch Program, 10510 Fairgrieve Road, Johannesburg, MI 49751. If purchasing the patch, make check or money order payable to the Michigan Bear Hunters Association. Bear patches will be available while supplies last. For questions about the bear cooperator patch, email alimcv@yahoo.com. /Note to editors: Contact – Kevin Swanson, 906-458-1889. Accompanying photos are available below for download. Caption information follows. Bear hunter: Jake Asker, a successful 2018 bear hunter in the Baldwin Bear Management Unit with this Lake County bear.